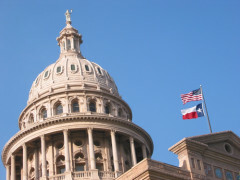 "Support the Texas K-12 CTO Council's 2019 Education Technology Policy Priorities"
Please join other Texas K-12 CTO Council members in asking state legislators to address key Texas education technology policy issues during the 2019 legislative session. Take action by sending a model message. Tailor the text by adding stories or examples from your school district, such as describing unique needs or steps you've taken to equip students, teachers, and school leaders with the technology required for teaching and learning. With your help, this virtual advocacy will magnify the success of our recent Capitol Walk, by ensuring all Texas lawmakers hear from their constituents. Thanks for participating in this important advocacy effort!